Galileo G, like her sister ships Exuma and Nautilus (formerly Grace E), has continuously travelled the world’s oceans since the day of her launch, completing a circumnavigation. Built as an Ice Class yacht, Galileo G has also undertaken the notorious Northwest Passage between Canada, Greenland and the Artic Ocean, casually meeting one of her sisters, the Perini Navi 56m S/Y Rosehearty, close to the Artic Circle. 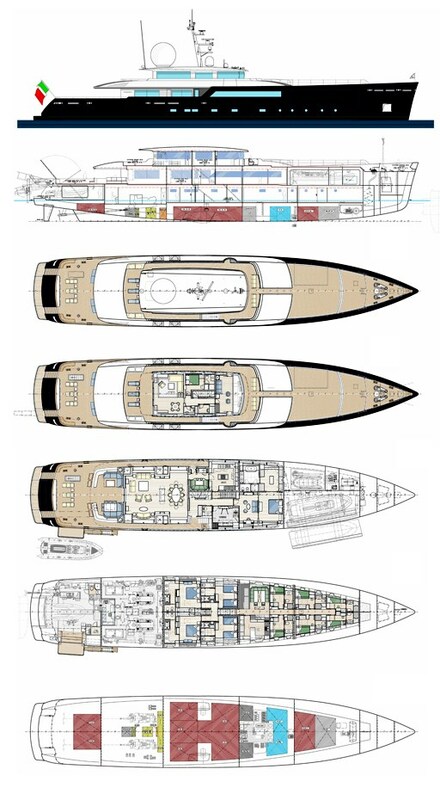 The warm interior styling subscribes to the owner’s brief for a “gentleman’s yacht”.